Nissan Motorsport has seen a 22 per cent boost in commercial revenue since March after replacing spreadsheets with cloud-based CRM software, its marketing chief claims. 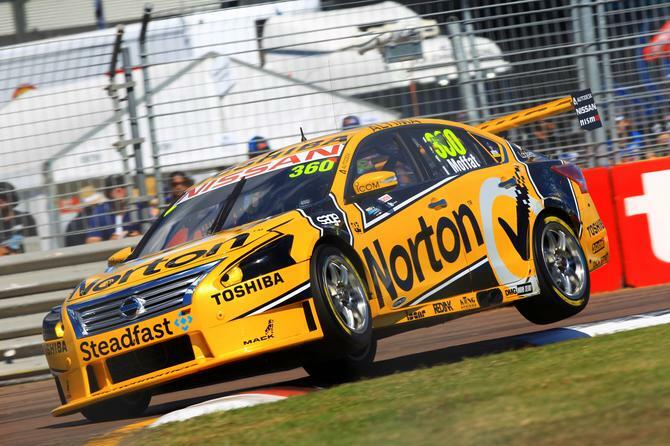 Nissan Motorsport, based in Braeside, Victoria, is the biggest team in the V8 category with four cars on the grid and large production and technical capability. Ford and GM Holden used to dominate the category but a regulatory change in the last 18 months has allowed Nissan and other new manufacturers to enter. Sponsorships generate millions of dollars in revenue for Nissan Motorsport, accounting for about 80 per cent of total revenue, the company’s general manager of marketing and sponsorship, Nick Ryan, toldCMO. However, securing racing partnerships is highly competitive. Ryan said it’s critical for a racing team like Nissan Motorsport to have an effective sales and CRM tool to find new opportunities and manage existing partnerships. The GM had worked with Sage CRM in a previous job with a sports marketing agency. When Ryan came to Nissan, he was dismayed to find the racing team relying on spreadsheets for sponsor management. Because Ryan had used Sage before and found it easy to use, he said he did not consider any alternative CRMs. “Once I had initial conversations with Sage and saw the level of support they were willing to provide to assist our business and that it was going to provide more than adequate solution for what we needed to do, we didn’t look to go down any other direction,” he said. A key benefit is that the CRM is now based in the cloud, a feature that had not been the case when he last used the software. Ryan does a large amount of travel, so it was important to be able to access the CRM from anywhere. “With so much sales activity on the road, it just assists us in updating things in real-time and then people back here in the office can get those updates without me having to call 15 people,” he said. At first it had felt daunting to move all the spreadsheet data to the new CRM, but Sage helped out with the process and the transition went smoothly. While the CRM has been in place for less than six months, Nissan Motorsport is already seeing benefits. For sponsor relations, it enables multiple people that manage these relationships to understand at any given point where we sit with those relationships and what the next steps are, Ryan continued. With Nissan Motorsport barely scratching the surface of the full capabilities of the CRM, Ryan is now looking to take advantage of some of its other features. “From what we’ve seen so far and how effective it’s been in assisting our business, I think the next step for us is we’ll probably sit down with Sage and understand where else we can take it,” he said.